Family meals and family movie nights are an integral part of our family’s culture. Our “Comfy, Cozy, Casual Nights” have seen many slight modifications over the years as our family has grown and aged. We probably won’t be watching Pooh’s Great Adventure anymore (unless we do a themed night or a family retro night), but the basic premise has remained the same: our family together enjoying a “family movie,” some cuddle-time, some laughs and some yummies. 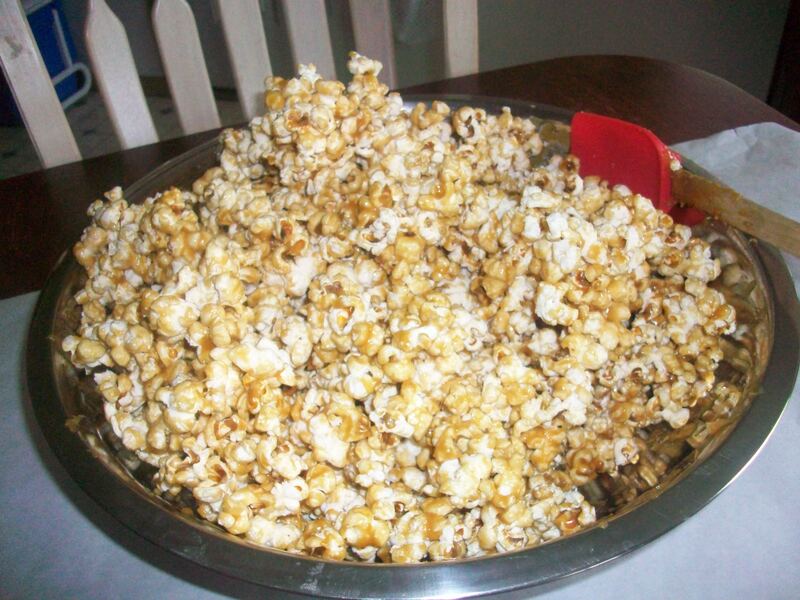 The yummies may vary in popularity, but Honey Carmel Pop-corn is certainly a family favorite. 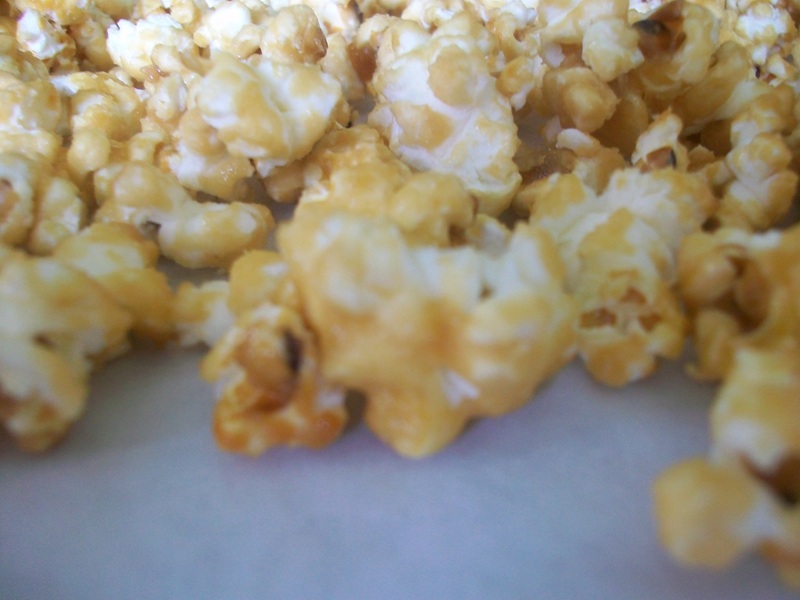 Looking for a sweet pop-corn treat sans corn syrup? Look no further. I copied this recipe from a honey cookbook borrowed from my parents, but have modified it a bit. Most often, I make a half batch which is sufficient for our family of 6. Pre-heat oven to 225 degrees (I have a very hot oven so I heat at 200 degrees). In a heavy bottomed pan, cook first four ingredients over medium heat. Bring to a boil, and continue the boil while stirring for 5 minutes. Remove from heat and add baking soda. Mix and pour over popcorn. Spread on cookie sheets and bake for 15 – 18 minutes. Please note: Honey burns easily so remember to be conservative when heating. Happy Movie Nite!